I'm 6 ft tall and I cast a 12 ft shadow. 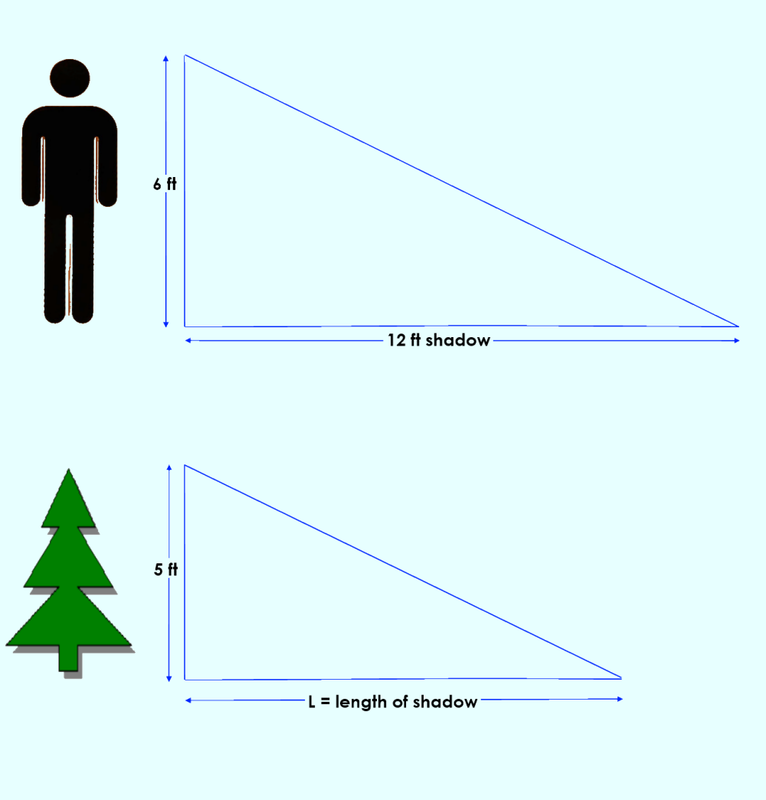 I want to find out the length a 5 ft tree's shadow. 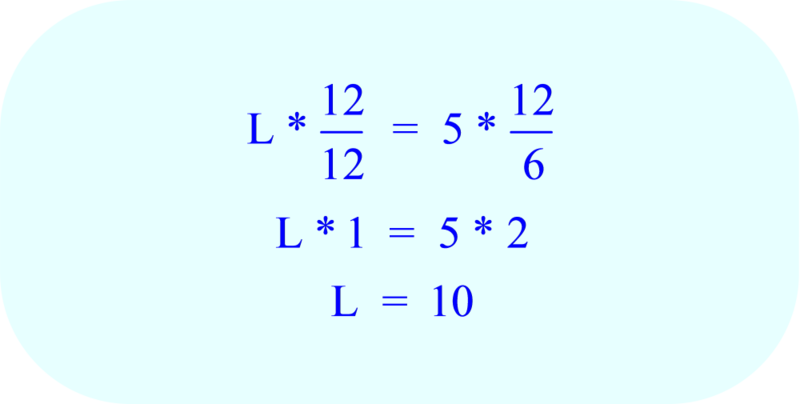 The two triangles shown are similar triangles. 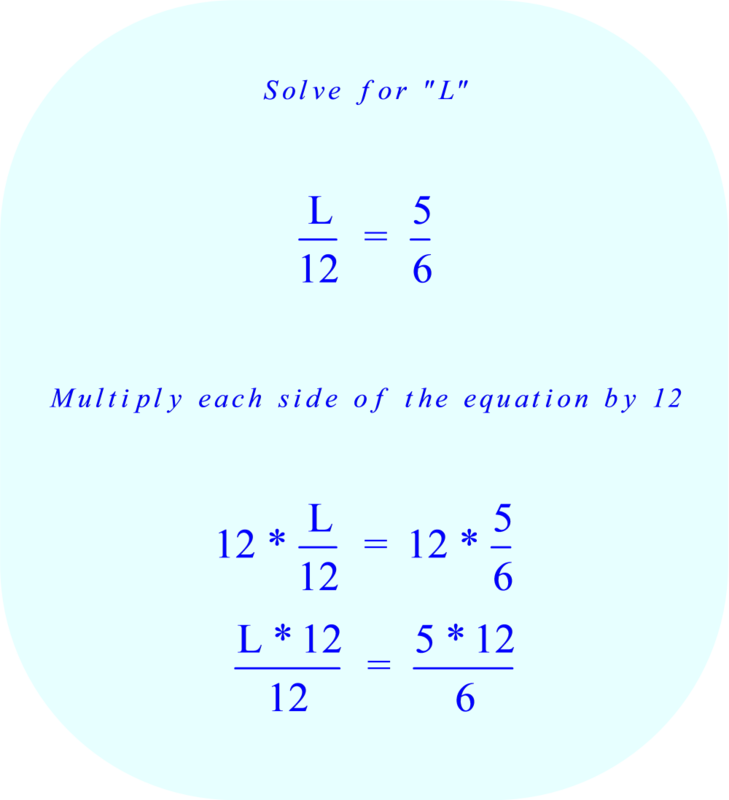 Numerically, the ratio computed by dividing the length of any side of tree triangle by the length of the corresponding side of the human (similar) triangle will be the same value. Therefore, when the length of the tree shadow is divided by the length of the human shadow, that ratio will be the exactly same as the tree height divided by the human height.